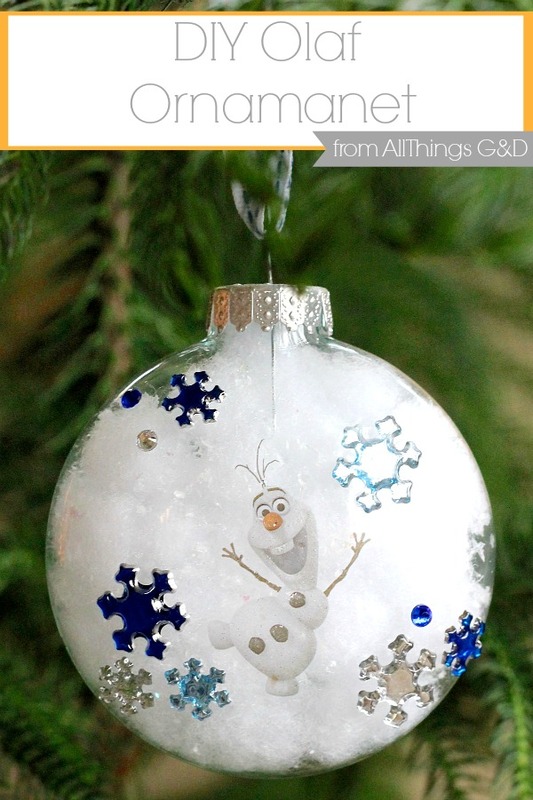 We’ve been turning Kate’s favorite Frozen characters into ornaments and next up is our DIY Olaf Ornament! 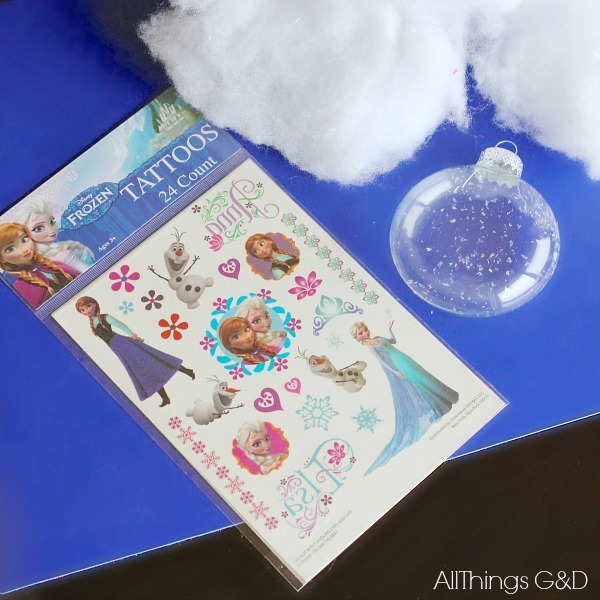 Just like our DIY Princess Elsa Ornament and our DIY Princess Anna Ornament, this little guy was even easier to make than building a snowman! 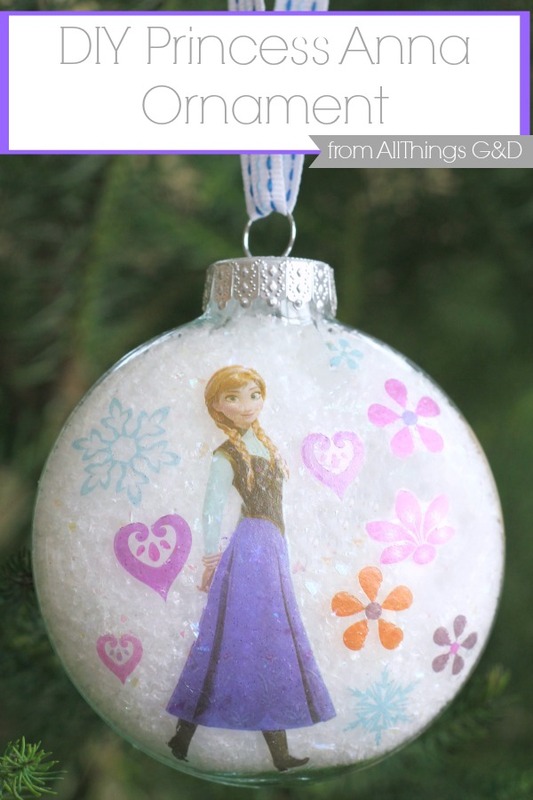 I didn’t have enough of the very fine decorative faux snow that I used for Elsa and Anna’s ornaments left over, so I used stuffing as faux snow instead and it worked out great! 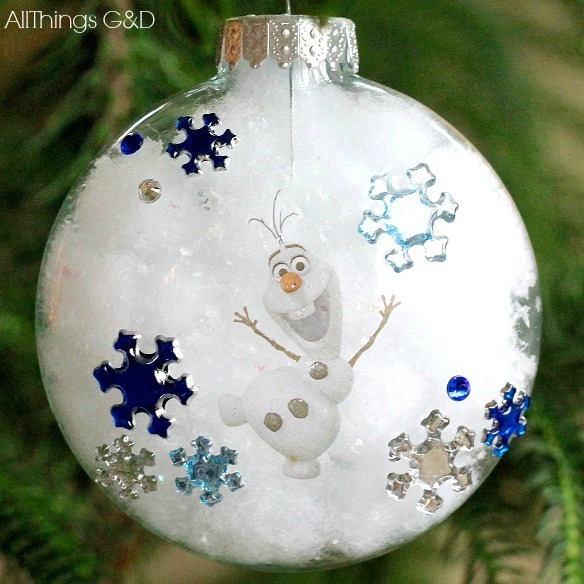 To add some sparkle I sprinkled in a bit of the fine/sparkly snow I had leftover into the Olaf ornament as well. I added Olaf to our ornament using a tattoo (see instructions here), and then added a few shiny snowflake stickers all around him. Doesn’t he look so cute and happy?! All set for a warm hug on Christmas morning! Like this project? 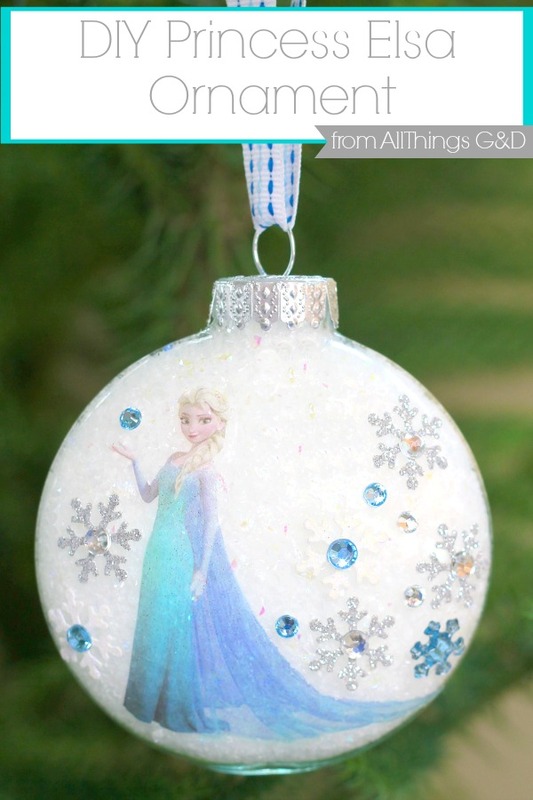 Check out my other DIY Frozen ornaments!